The 2010 Vancouver Olympics is just a week away and believe it or not it’s still not too late to see the games. Travel expert Christine Karpinski knows this because she just recently finalized her travel arrangements. You have to plot your plan for getting from point A (your home) to point B (Vancouver). If you live in the Pacific Northwest, like Seattle, then you might be able to drive across the border for a short stay or even just for the day. Everyone else will have to travel by airplane. Check with popular online travel agencies as well as the websites of individual airlines. Play around with different departure and arrival points. You never know when a good deal might pop up, or how long it will last, so be ready to book quickly. Whenever taking a last-minute vacation, it’s a good idea to purchase a travel insurance policy that covers changed flight dates and/or cancellations. This way, if things fall through, you won’t be out nearly as much money. Accommodations will be tough to find this close to the opening ceremonies. Hotel rooms can be thousands of dollars per night so it’s time to get creative. Again, no matter where you end up staying, be sure to purchase some sort of travel insurance policy. Book a vacation rental home . In most instances, these cabins, chalets, and cottages are people’s second homes or in the case of an event as crowd-drawing as the Olympics, primary homes. And they’re often a much better value than a hotel room. You can find great deals on vacation home rental websites like VRBO.com and HomeAway.com. You’ll pay much less than a hotel room, and you’ll return each evening to a place with a kitchen and living area. If you looked at vacation rental sites and came up empty, keep checking! Even at this stage of the game, homeowners are adding properties that are available for travelers to rent. Also if the owners haven’t attracted Olympic renters, they may lower the prices. In addition to saving money, the homeowner can answer your questions about the area and recommend tips for activities and transportation once you get there. Visit the official Vancouver Olympics website. If you’re Canadian, you can directly purchase tickets there. For Americans, there is a fan-to-fan marketplace where tickets are constantly being added and auctioned off (Tickets.Vancouver2010.com/Buy/TicketSales). “This is a sanctioned ticket seller, so you can rest assured that all postings are legitimate,” says Karpinski. You can also visit CoSport.com, which is the official ticket seller for the U.S. and other countries. The website also has one more ticket release planned before the Opening Ceremonies. Consider attending only Week 1. Unless your heart is set on seeing a gold medal round of your sport of choice, think about attending an event during the first week. Since almost all of the gold medal events are scheduled during the second week of the Games, you have a much better chance of finding affordable tickets when things are just getting started. Try the “walk up” option. Once you’re in Vancouver, consider walking up to the ticket booth a few minutes before an event is about to start and inquiring as to whether there are any open seats. Can’t get four (or three or two) seats together? That’s okay! The Olympics are as much about international fellowship as athletic competition. So make it a goal to mix and mingle with your fellow spectators as much as possible! If the tickets you’re able to buy are scattered all over the stadium, don’t bemoan the fact that you can’t sit with your traveling companions. Instead, embrace the chance to meet the diverse people around you. It’s not all about the games. In addition to the Games themselves, the 2010 Winter Olympics will include official ceremonies and celebrations that feature live performances, recreational activities, and Canadian and international arts and culture. “My family will be attending a Victory Ceremony, which is essentially one big party with live bands,” says Karpinski. Make sure you know where you’re going and how you’re going to get there. There’s an official Olympic transportation system, and most venues have multiple points of entry, so you have to know in advance how you’re going to get around. Unless you’re going to be zipping in and out of the city for a day trip, it would be a shame not to sample some of the other non-Olympic things Vancouver has to offer. The city’s website OlympicHostCity.Vancouver.CA includes an excellent list of free events to help you get started. Keep in mind that some free events may still require tickets. 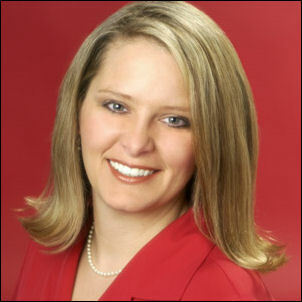 Christine Karpinski is the author of “How to Rent Vacation Properties by Owner” and “Profit from Your Vacation Home Dream.” Her websites include OwnerCommunity.com and HomeAway.com.